When incidents occur, xMatters Roombot delivers enterprise-ready ChatOps to ServiceNow chat rooms. Type simple commands into your chat window to quickly send targeted SMS, push and voice messages to individuals or groups. 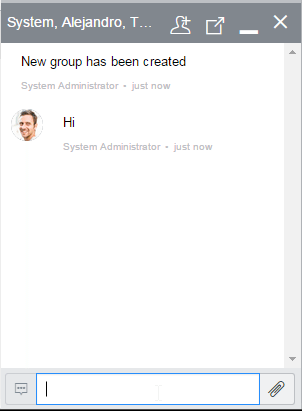 You can even quickly engage all chat room participants in a one-touch conference bridge. xMatters on-call scheduling and device preferences settings ensure you send notifications to the right person on the right device to drive efficiency. 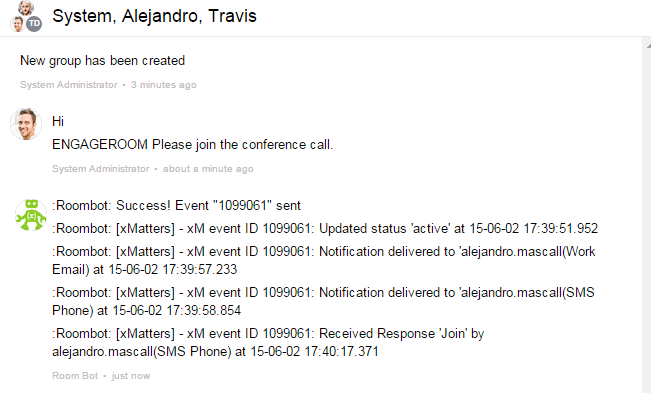 Use xMatters Roombot to accelerate and simplify your ServiceNow platform chat rooms. By streamlining communication during critical business disruptions, customers leveraging ServiceNow with xMatters have seen up to a 70% reduction in their Mean Time To Restore critical services. Available now as a certified, scoped app in the ServiceNow App Store.